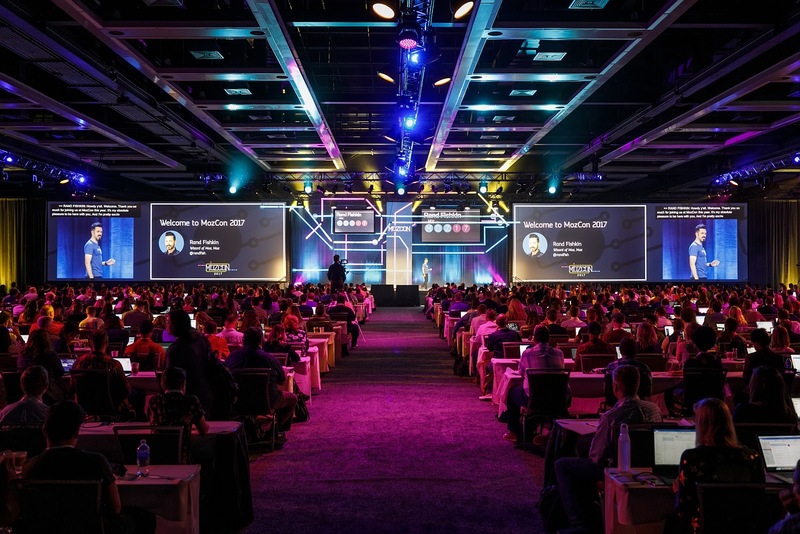 Every year, over 1,000 marketers, SEOs, agencies, consultants and executives converge on Seattle for MozCon. This three-day event is the experiential flagship of Moz—one of the world's leading providers of search engine optimization (SEO) software. Danielle Launders has spent over six years working on events at Moz—managing everything from sponsorships to collateral to content and all of the logistics in-between. Underlying Danielle's unique approach to events is a passion for bringing people together. Brandon: You’ve been at Moz for almost six years on the dot. During that time you’ve managed everything from smaller, intimate events to Moz’s huge annual customer conference. But before any of this, you worked as an environmental analyst. What led from your career in environmental science to where you are today? Danielle: Honestly, I would say a lot of luck and chance. I enjoyed my time in the environmental field, but after three years of driving 60 hours a week for fieldwork, I was ready for a change. I had a discussion with someone and they told me about this exciting company named Moz who were hiring for their marketing team. This same person thought I’d be a good fit, and they knew the CMO so they made an introduction. I ended up going through the interview process and was hired. I fell in love with the team, the product, and the community. It was just really exciting and I’m so fortunate it happened. I can't say I planned it. Sometimes life just works that way. Brandon: Was the initial position for event marketing? Danielle: No, actually, the initial position was for marketing administration supporting the whole marketing team. This gave me a lot of exposure to different marketing specialties and I found that events was an area I was most interested in. At the time, the event marketer was looking for extra support with sponsorships and MozCon, so I got to dive right in. I've been helping with events and sponsorships at Moz since 2013. This year will be my seventh MozCon. Which is kind of crazy! Brandon: Moz has a very active community of over 600,000 marketers and SEO specialists who actively contribute to the Moz blog, chat on social and, of course, attend Moz events. Could you tell us a little bit about how you tap into this community? Danielle: Community is such a strong backbone for both Moz, and MozCon. We really try to give our community members opportunities to connect with one another. For instance, the MozCon Facebook community has become an extremely active year-round group and our members are so supportive of one another. The group ranges from first-time attendees to MozCon veterans, with more joining every year. It’s a great way to get acclimated before the conference each year. We often see first-time attendees reaching out for words of advice to get the best from their MozCon experience and veteran attendees jumping in to recommend their favorite not-to-miss speakers, sessions, and activities. It’s been amazing to see how community members are able to build buzz and excitement while being there for each other. Another strong facet of the MozCon community is our community speaker program. I feel like we're giving back and yet at the same time our community is giving us so much more. It's an opportunity for anyone in our community to pitch to speak for 15 minutes on the MozCon stage. Each year, we get over 80 really great pitches and we select the top six to join us for the community speaker spots. There have been a handful of community speakers over the years that we’ve invited back to be a headline speaker at MozCon or that we’ve recommended for other conferences. It’s rewarding to see our community members build their speaking careers on our stage. Brandon: Someone once said that you are “an excellent event marketer with an eye toward customer service and realizing that details push events from good to great.” Now, we know that MozCon has great content, tasty snacks, and ample networking opportunities—but how else do you strive to provide attendees with a stellar experience? Any new approaches you’re planning on for 2019 and beyond? Danielle: That's so nice! Yes, a core pillar of MozCon is that we want to give our attendees the best conference experience possible. We actually internally call MozCon a great big hug to the community. For a lot of people, they only get to go to one conference, maybe two, a year. We’re honored that they choose MozCon so we want to make sure it’s an amazing experience! From a planning perspective, we are very intentional with everything that we do. We spend a lot of time considering the content, the layout, the environmental design, the food and snacks, how our guests will interact with everything, and many other elements. We come at it from the perspective of what would I want from a conference if I were attending? The next step is thinking about how we can enhance that experience year-over-year. We know our attendees will be joining us from nine to five for three days straight—and some of them have never been to Seattle before. So we provide them with amenities such as ethernet cables and power strips in the sessions to make sure that they can take notes and keep in touch with their teams back home but we also look to create opportunities for them to explore our city with other attendees during our evening programming or for morning runs and other informal activities. Knowing that some of our attendees may not have the chance to really explore Seattle, we try to bring a little piece of Seattle to the conference. One way we do this is by featuring a special snack each day from one of our favorite Seattle food vendors. Seattle is known to be a foodie town, and this gives attendees a small taste. Seattle is also known for its coffee, so we love to treat our attendees with really good coffee. Nobody typically talks about coffee at a conference because likely it's just drip coffee, but last year we actually had a bicycle that was in the lobby and it had nitro coffee cold brew on tap as well as a trailer serving frappuccinos. We’re also big proponents of making sure the swag that we give attendees is something they actually want to take home. Take for instance last year when we had a superhero theme. We created a little figurine of Roger, Moz’s mascot, wearing a cape. Today, we’re still getting pictures on Twitter and the MozCon Facebook group of Roger hanging out on different desks. Brandon: Another thing that’s very cool about MozCon is that your goal isn’t to make a profit from ticket sales. (BTW: We love the graphic you’ve created to represent this for promoting past Moz events). So what are the primary ways that you measure ROI and prove it to key stakeholders? How do you use technology and integrations to help you here? Danielle: Of course to make MozCon sustainable, we need to break even so ticket sales is a very important metric for us. Our marketing automation software helps with email communications, but it also helps us track whether attendees are current customers or potential prospects. We also look at where attendees are coming from, the roles they are in, and if they’ve attended MozCon in the past as they are valuable indicators for ensuring our audience and content are aligned. Our tech stack helps us track some of the supporting metrics for these goals. Given that the attendee experience is a huge part of MozCon, tracking post-event survey information like NPS is also important. There are many ways to measure success on financial terms (for instance tracking customer conversions, up-sells or cross-sells further down the line), however, we really do see a lot of value from MozCon in brand awareness, and building a community of brand champions. This can be a little harder to track, but we believe it’s equally as important. Brandon: According to our Event Marketing 2019: Benchmarks and Trends report, most marketers believe that email marketing is the most effective channel for promoting your event. Which promotional channels have worked best for you? Danielle: We definitely rely on email marketing. We have an event email list specifically dedicated to updating subscribers about MozCon. Email is especially useful because the audience is self-electing. They want to learn more. Our biggest campaign every year is the announcement of our final agenda, which contains our confirmed headline speakers and community speakers. Sometimes people aren't able to get budget approval for making a purchase until the full agenda is available, and email is a great way to spread the word. Another big thing for us is blog posts. Since we have a lot of readers that follow our blog it is a valuable channel. We also use social, but I would say email and blog posts are our top two converters. Brandon: How do you work with other teams in your company to drive event success? Danielle: Our event team is part of the Moz marketing team but to pull off MozCon, it takes cross-team, and cross-department collaboration. Event marketing at Moz operates across the company— working with nearly every team from our dev team who builds the web page that drives registrations, our design team who brings our online and on-site experience to life, to our sales and customer service teams. It’s truly a team effort. We coordinate across the marketing team for support from our email, newsletter, blog, social media, and paid marketing channels. Then, when it comes to the actual event, our on-site volunteers are all Moz staff. For example, we have engineers working alongside our customer service team and our administration team. It’s great because they actually get to meet the people they're building the products for or marketing the products to or processing payments for while also having a deep team bonding experience. Our Moz staff are the ones working registration. They're the ones hosting our Birds-of-a-feather tables at lunch, networking with attendees or showcasing our products in the Moz hub. It's all hands on deck in a really exciting way. Brandon: Could you tell us more about these Birds-of-a-feather tables? Danielle: During lunchtime, across all three days of the conference, we have speakers, partners or Moz staff host discussions on different topics. These topics have a wide range, for example they may be email-focused or SEO-focused, or even vertical focused like agencies that work with commerce and retail. Two years ago we had one for new parents adjusting to returning to work. Brandon: Going into 2019, what trends and new strategies are you excited about incorporating into your event strategy? Danielle: I'm excited to see how our new white label app will provide a place for information and connection. This includes having a space for our attendees and our partners to connect, networking features for attendees, and having a searchable digital agenda. Brandon: What's one piece of advice you'd give to someone who is just starting to run a conference like MozCon? Danielle: Have a clear understanding of the why and make sure that all of your stakeholders are aligned on the goal. That's going to drive all your decisions down the road. From here, you’ll get a better understanding of your ideal audience, content, speakers and experiences. Brandon: Now for the tough questions. We understand that when you’re not building a huge community around events, you like to travel the globe. Any favorite destinations? Danielle: I’m so fortunate to have the opportunity to travel and I haven't been to a place I don't love yet. But I’ll always have a soft spot for Spain. I actually studied abroad there and I've been back three times. Brandon: What is one of your favorite things about living in Seattle? Danielle: Honestly, I would say the food. I'm so lucky to experience the amazing food scene here. I also love the access to the outdoors. In two hours, I could go to the beach, I could be on the ski slopes, or I could be on a hiking trail. It's amazing. Danielle: Actually, I like to create a lot. I'll make anything from jewelry to my own body care to furniture. I also consider cooking to be creating. I think it's really important—even if it doesn't look beautiful or taste good—to always be creating something.